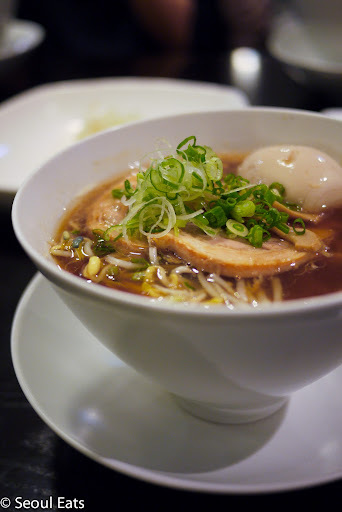 My write-up of Mist:Chabuya ramen restaurant in Seoul was met with mixed reviews. 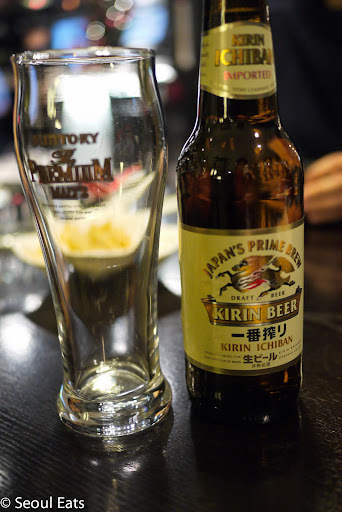 Last night I returned to the restaurant to see if it had really gone downhill. I went with a few friends and place was busy but not packed. I was impressed by the service which was patient and attentive. They had a new manager there that could speak English well and the whole place looked clean and professional. The menus were laminated and clean- not torn an dirty like one commenter wrote. I ordered the Mist Shoyu Ramen (10,000 won). 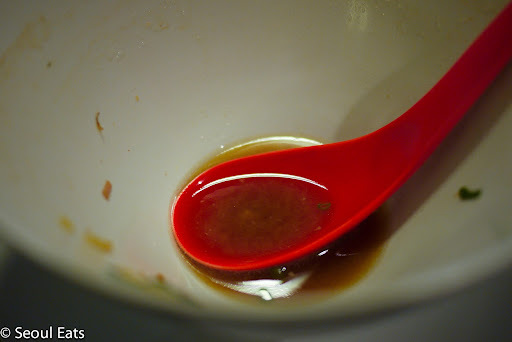 The broth was rich and flavorful. It didn't look like there there was a lot in the bowl, but I left quite full. 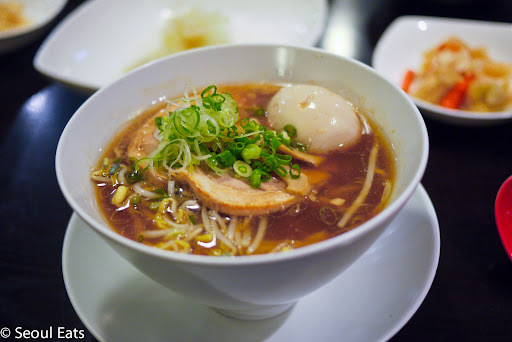 The noodles were silky and held up in the broth and the pork was melt-in-the-mouth tender. The pickles in the soup added a needed crunch. 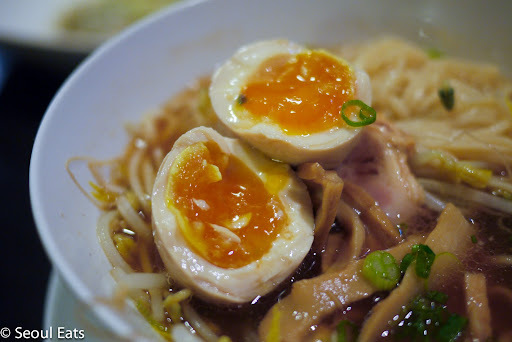 With the Mist Shoyu Ramen there were also a egg that was gently poached so the yolk inside was still creamy. This was a treat to have with the soup. The only thing amiss was when my friends and I tried to order another round of drinks. There was a bit of confusion at first, but I think that was because they were trying to clarify what we wanted. Overall, it was a fine meal. It's not ramen I would have everyday, but every once in a while, it's good.